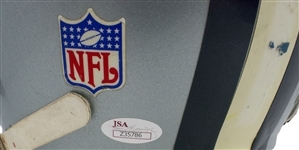 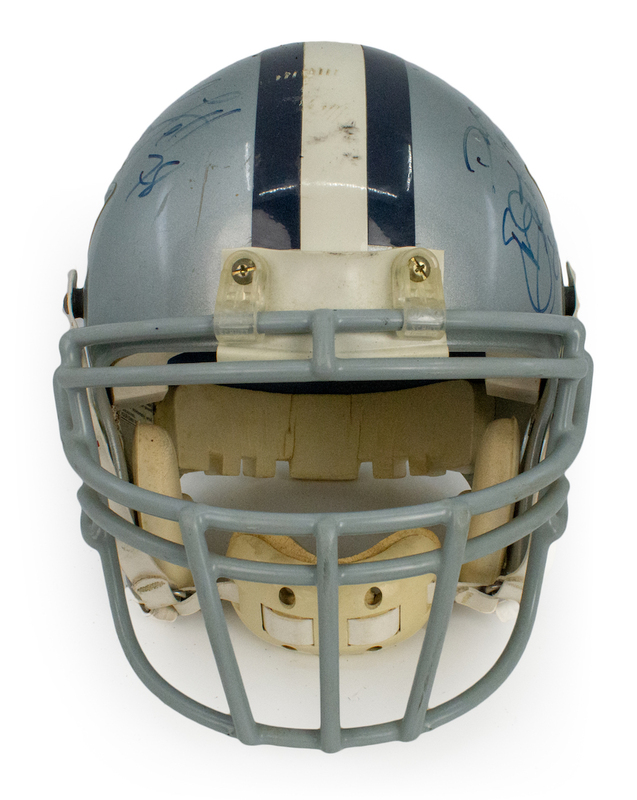 Presented is a Dallas Cowboys helmet that was used by Darren Woodson during the 1998 NFL season and was given to former Atlanta Falcons running back Jamaal Anderson at the 1999 NFL Pro Bowl. 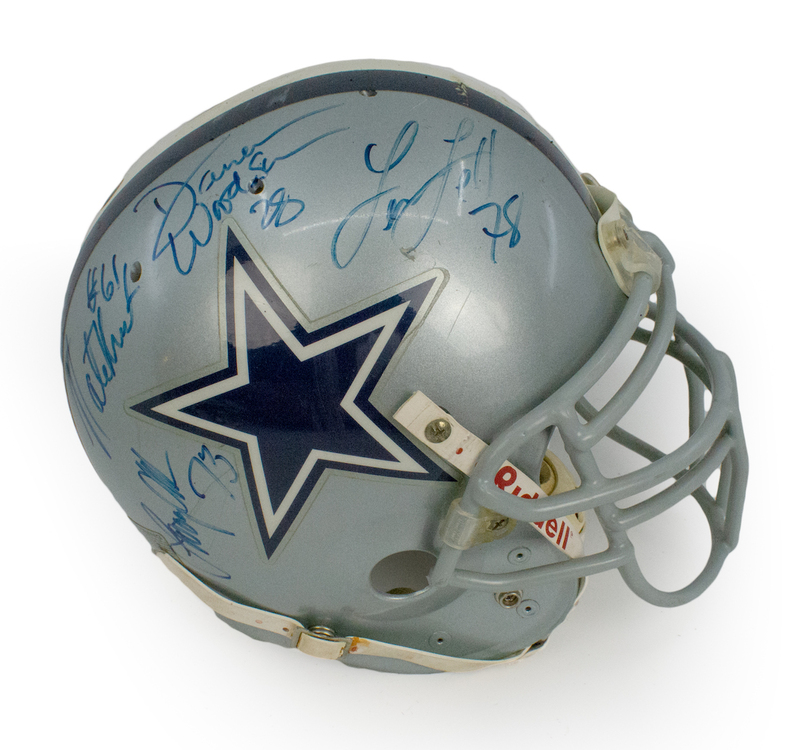 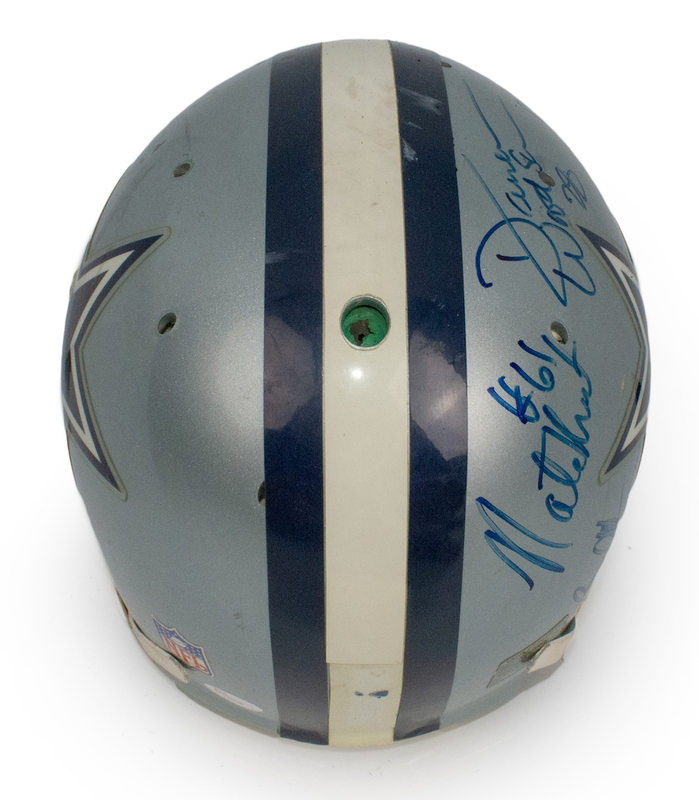 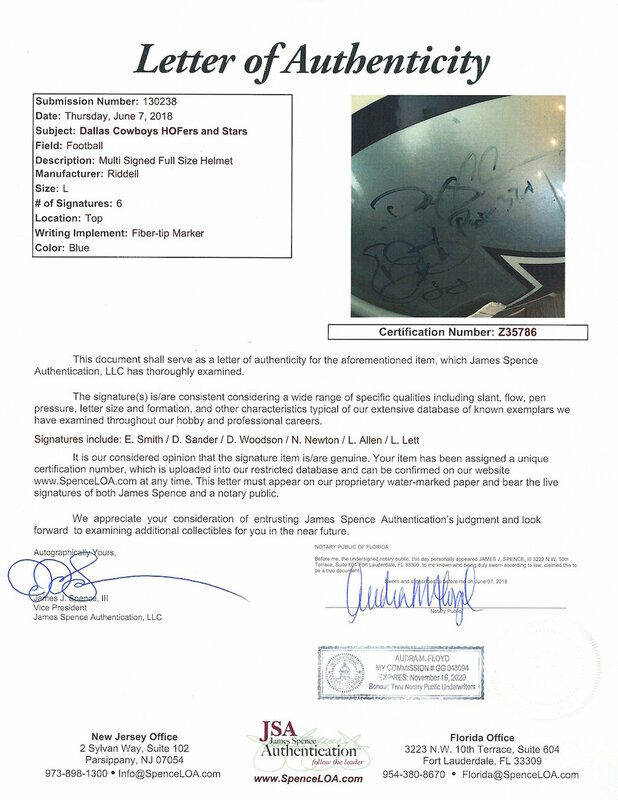 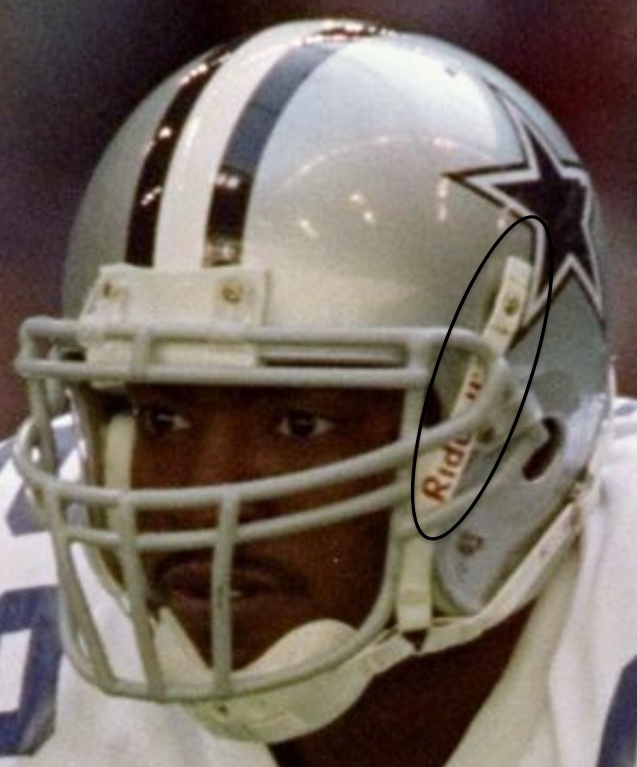 Anderson then had the helmet signed by all of the Dallas Cowboy pro bowl members which included Emmitt Smith, Deion Sanders, Nate Allen, Leon Lett, Darren Woodson and Larry Allen. 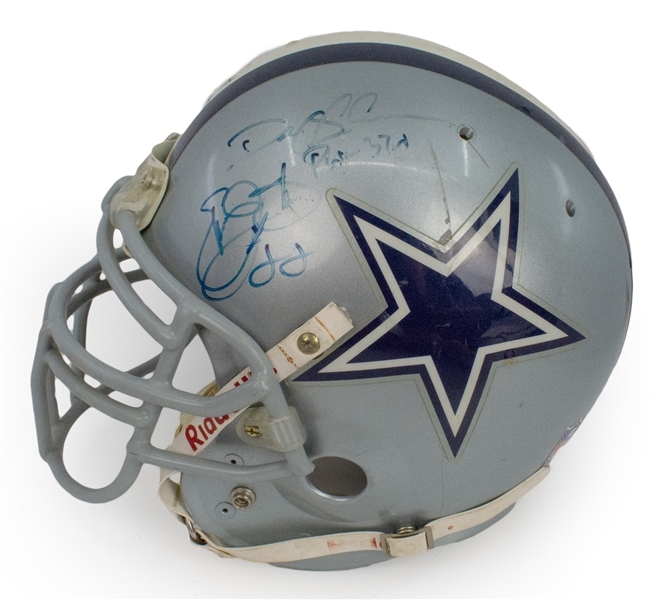 The helmet shows incredible use and photo matches to a number of occasions during the season. 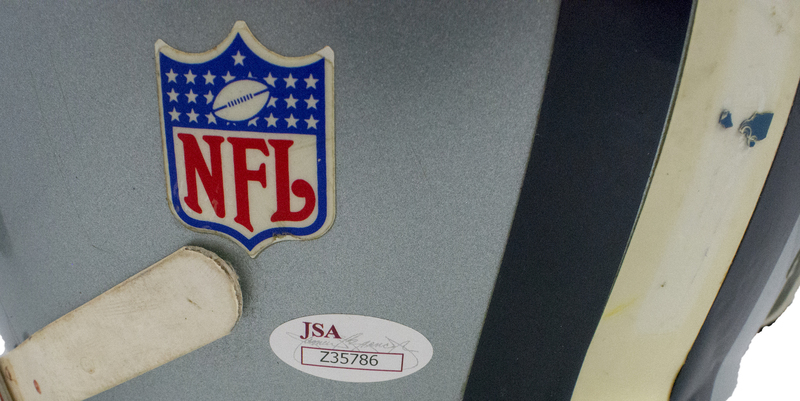 The helmet is accompanied with letters of authenticity from JSA and Jamaal Anderson.